Born in 1942, in Guangdong, China, and later moving to Singapore in 1953 at the age of 12, Tan Choh Tee is one of Singapore’s most prominent second-generation artists, renowned for his Impressionist style of painting. 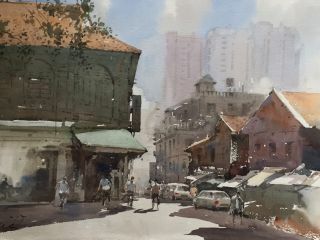 Named as the “Matisse of the East” by Tatler (Singapore) magazine for his choice of style, the artist most often paints Singapore landscapes and still life. At the Nanyang Academy of Fine Art where he studied, the artist trained under the tutelage of pioneer first generation Singaporean artists including Cheong Soo Pieng, Georgette Chen, Liu Kang and Chen Wen Hsi. Tan delved into full time painting in 1976, painting old Singapore landscapes to immortalize their essence in the face of rapid urbanization. 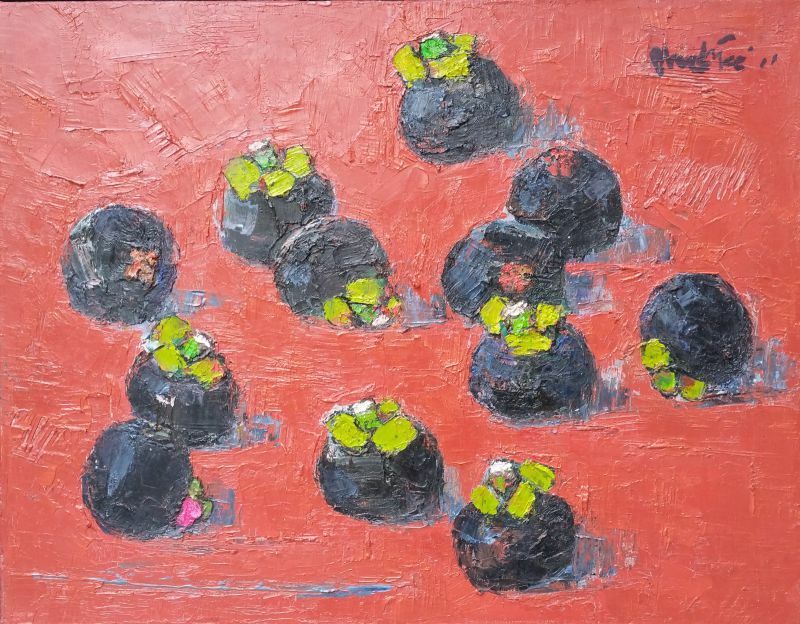 The artist also received the Ministry of Culture Special Award at the National Day Art Exhibition in 1976 and went on to win the highest Singaporean accolade, the Cultural Medallion, conferred by the Government of Singapore for excellence in the arts, in 2006. Tan was born in China but immigrated to Singapore in 1953 when he was 12 years old. After arriving in Singapore, Tan helped out at his father’s jewellery shop in South Bridge Road. After five years of working in his father’s shop, Tan decided that he had no interest in the business and that he wanted to paint. 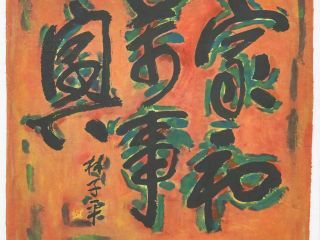 In 1958, he enrolled himself into the Nanyang Academy of Fine Arts (NAFA) and studied under the Nanyang Style artists such as Cheong Soo Pieng, Georgette Chen, Liu Kang and Chen Wen Hsi. In the early 1970s, Tan discovered that many parts of Chinatown were fast disappearing under the government’s redevelopment plans. Having grown up in the area since he was a teenager, Tan held a special regard for the landmark centre and felt an urgent need to capture the charm and uniqueness of the Chinatown he knew. Thus Tan went on a race against time and bulldozers, trying to put all the old and disappearing buildings and scenes on canvas before they vanished. Working relentlessly, he once managed to finish a painting in just two days. During this period in time, Singapore’s art scene was entering a vibrant phase. There was an increase in the appreciation of the arts and art patronage. Having weighed the odds, Tan decided that it was time to paint full-time. Thus, in 1976, he resigned from his well-paid job as a book designer – a job which he had held for the last 13 years – to become a professional artist. Initially, Tan had to supplement his income by teaching art privately. However, despite the financial challenges, Tan pushed on doggedly in his new profession. 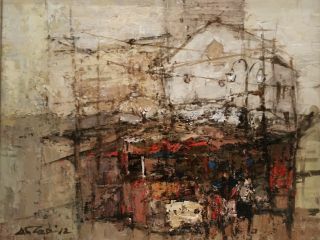 Painting at a hectic pace, he created a large number of impressive works featuring picturesque scenes of ‘old’ Singapore. 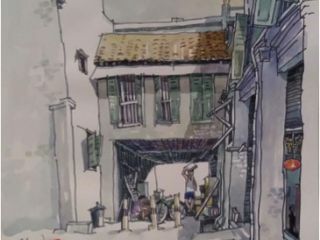 Chinatown, Trengganu Street, the back alleys of Jalan Besar, and the squatters in Geylang were just some of the many places depicted in his paintings. Through relentless perseverance and immense hard work, Tan’s reputation as a professional artist grew immensely. In 1984, Tan returned to NAFA, his alma mater, to teach. He subsequently went on to attend a Master Class at the Central Academy of Fine Arts in China in 1987. In the 1980s and 1990s, Tan started venturing overseas to countries like Thailand, Indonesia, India, Nepal, Burma (now Myanmar), Cambodia and Taiwan to paint. He also went to the United States and Europe on exchange programmes. From 2000 onwards, Tan started to travel to China to paint as well. In 1998, Tan was selected as the first alumni resident to stay in NAFA’s apartment in the International City of the Arts in Paris (Cite Internationale des Art). The three-month stint allowed him to meet with artists from all over the world and to attend study tours of major museums in Paris. Over the years, he has constantly enthralled critics with his oil compositions, creative visions and innovative use of colours. His paintings showcase an expansive display of deft brush strokes, strong blocks of colours and vibrant hues. Carrying a passion for the practice of plein-air painting, Tan has been determined in his endeavour to bring life to his paintings, and capture the “the fleeting moments with their changing moods," as lived through by the artist. 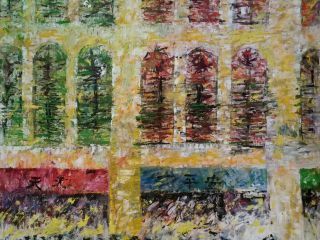 His impressionist influence echoes the sentiments of capturing the shifting properties of forms and shapes, and light and colours, as perceived by the eye and experienced on the spot. Making use of colours, lines and forms, the artist attempts to completely absorb the characteristics of Western Arts - focusing on the comparative effects of colour blocks and emphasising on the vitality of colours. Equally inspired by Chinese brush painting, the artist often shifts his emphasis from colours to the character of brush strokes. Thus, bringing together elements of both Western and Oriental arts, the artist's expression is moulded into a personal style with of consistency in painterly quality, singularity of purpose and freshness of impression. Tan has held nine solo exhibitions and participated in more than 50 group exhibitions in places such as Russia, Germany, France, the United Kingdom, Japan, Korea, Taiwan, Hong Kong and Indonesia. His works have been acquired by prestigious international auction houses Christie’s and Sotheby’s. In 2006, the artist was awarded the Cultural Medallion for Visual Arts. Tan’s works are collected by the National Museum of Singapore, the National Museum of Negara Brunei Darussalam, United Overseas Bank, Swiss Credit Bank, and several other institutions, corporate organisations and private collectors. 2006: Cultural Medallion for Visual Arts, Singapore; and the Asia Visual Arts Award, Korean National Cultural Research Organisation. 2005: Creative Visual Art Award 2005, Nanyang Academy of Fine Arts, Singapore. 1976: Special Award for National Day Art Exhibition, Ministry of Cultural, Singapore. 1962: Highly Commended Award, Our Singapore By Our Artists, Esso Singapore.